Lotus and collagen. 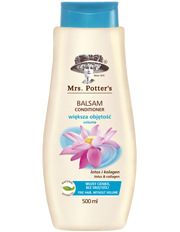 The lotion contains revitalizing and improving hair condition of lotus extract and strengthening and increasing collagen volume. Effect: Hair is more easily combed, strengthened and nourished, without the burden. Use: apply moisturizing lotion and rinse.